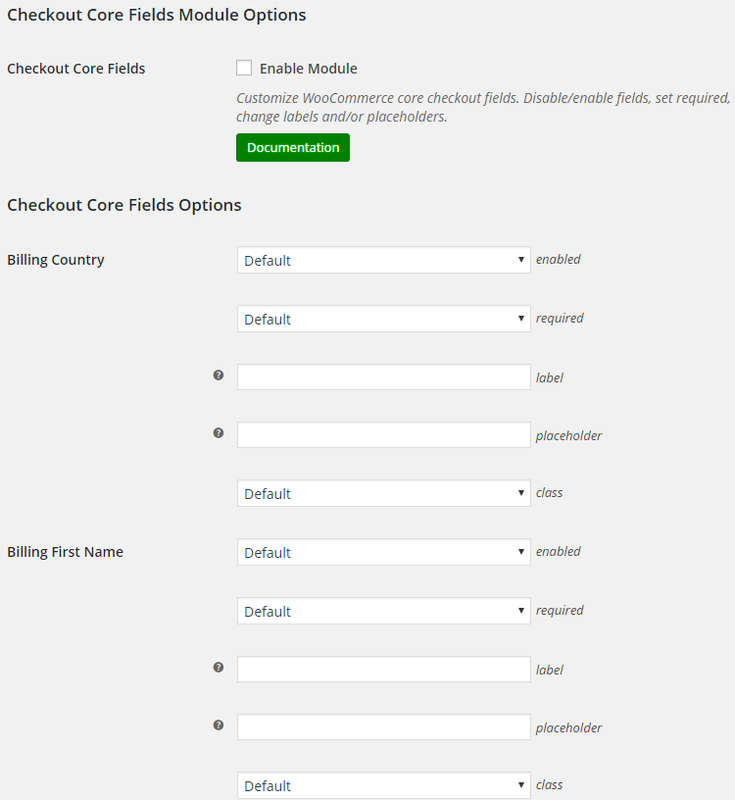 When enabled, WooCommerce Checkout Core Fields module lets you customize core WooCommerce checkout fields. 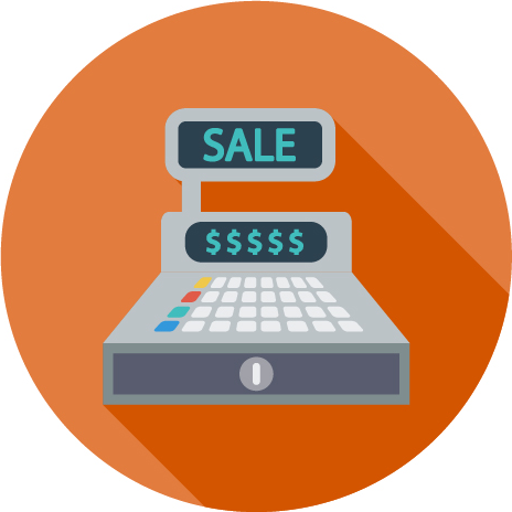 Options include: disable/enable checkout fields; set fields to be required for a customer to fill out; change the label/text and/or placeholders shown on each field (i.e. change “Last Name” to “Surname”), set checkout field to show only if selected product categories are in the cart. Hi, Here is lacking to take control of the width of the field. It is set by itself full width and is not at all helpful. Thanks! thanks for note, we make it available asap. Please upgrade manually to new dev version: http://booster.io/dev/ or just wait for new version release. Hi, For Checkout Core Fields, some fields are not able to change as in label like Billing Address 1, Billing City, Billing State, Billing Postcode as well as Shipping Address 1, Shipping City, Shipping State, Shipping Postcode even through I click enable. Any suggestion please. Thank you. problems exist, our development team will fix that in one of next releases. Let you know when problem solved. 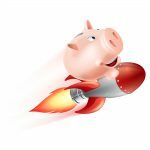 Please update to the latest version of Booster for WooCommerce. Let us know if there still some issues. Thank you for the update. I updated Booster for WooCommerce to new version. However, the core-fields now only show Billing First name, Billing Last name and Billing Company not other fields even though I enable other fields like Billing Address 1, Billing Address 2, Billing city, Billing State, Billing Postcode, Billing Email, Billing Phone, Please also note that all Shipping fields I enable do not show on the page at all. Thank you. please contact us at support@booster.io it may be theme based issue, if you have possibility try to change theme to see if issue still exist. Hello, I disabled the company fields in billing and shipping address and checked “not required” for State. But no change on my website, company field always figures, as well as state is still requiredl. what version of Booster for WooCommerce do you use ? Fix – CART & CHECKOUT – Checkout Core Fields – Bug, causing message that some not existing field (e.g. State / County) is required, fixed. If you use latest version of Booster and still experiencing problem let us know what theme do you use and what country you try to select. company field shows always up, as well as state requirement. There are many countries in the world that don’t need states in the address. I tried to use this feature in order to delete all core fields from the section and then create new ones with Custom Fields. I succeeded in creating the fields I wanted but some original ones (Billing First Name, Billing Last Name, Billing Company Name, Billing Address, Billing Email, Billing Phone, Billing ZIPcode) are still there – even if I disabled all one by one. May there be a conflict the theme (Edge’s Hudson) or other plugins? I already disable “Billing Country” but it only hide Label, NOT the Box. Im using the latest plugin. I can’t find how to do that. That is just what I need. My international customers cannot check out because it is saying that their billing/shipping state is required. I changed both to not required in the settings and they are still showing an asterisk * stating that they are required. For instance, Denmark does not have any states. Since states are required, nobody from Denmark can checkout successfully. I am using the Avada theme with the latest version of your plugin and woocommerce. Please advise for I am losing sales. Hello. In Checkout Core Fields Module Options, I have tried multiple times to make the account password Not Required. Unfortunately, it remains required. I am using the theme Accesspress Basic Pro. Thank you in advance for your assistance. Nevermind. Turns out we’ll be using the password field now so it’s all good. I changed some checkout fields to ‘not required’. Some work (country and phone no longer required), but street address, zipcode and city keep being required. Any idea why it is not changing? as I changed the core fields using Booster, my state field is no longer choosable on mobile phones and as long as I’m using it to automatically calculate the shipping price, my checkout is unusable on my phones ,, what do you suggest to fix the problem? I was wrong, its even worst, only logged in users can choose a state, and why is that? Could you please try setting both “Override Default Address Fields” and “Override Country Locale Fields” options in “WooCommerce > Settings > Booster > Cart & Checkout > Checkout Core Fields” to “Do not override” and let me know if that changes anything? Could you develop a module for “Dynamic checkout core field depends on payment gateway”. For example if credit card payment we will collect many personal information from customer, but bitcoin payment we only collect customer’s email address is enough.